Regenerative Medical Group (Orange) - Book Appointment Online! 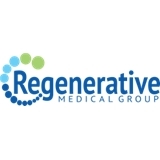 Regenerative Medical Group (RMG) is an innovative group of multifaceted clinicians dedicated to optimizing patient outcomes by individualizing and tailoring treatments to meet each patient's needs. All patients are monitored to optimize and enhance the outcome of the numerous treatments offered. RMG has revolutionized the medical field by introducing and applying Stem Cells to all types of therapies. RMG has a primary care medical office specializing in a broad range of medical services. Services include providing quality, comprehensive medical care for families and people of all ages. RMG offers general medicine with programs for pain, sleep, medication management, memory care, breathing, balance, weight loss, and Osteopathic Manipulative Medicine. Dr. Henderson is awesome. He's super friendly and has an amazing way to break the ice. I felt super comfortable right away with his little jokes. I've gone through doctors in the past who just throw drugs at you right away. He's definitely not that guy. it was excellent , very informative and engaging.